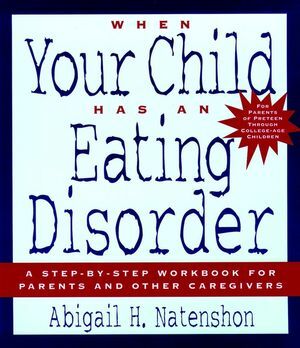 When Your Child has an Eating Disorder is the first hands-on workbook to help parents successfully intervene when they suspect their child has an eating disorder. This step-by-step guide is filled with self-tests, questions and answers, journaling and role playing exercises, and practical resources that give parents the insight they need to understand eating disorders and their treatment, recognize symptoms in their child, and work with their child toward recovery. This excellent and effective resource is one therapists can feel confident about recommending to patients. ABIGAIL H. NATENSHON For 25 years, psychotherapist Abigail Natenshon has specialized in eating disorder treatment with individuals, families, and groups. As cofounder of Eating Disorder Specialists of Illinois, A Clinic Without Walls, she provides consultation for parents, schools, social service organizations, and mental health professionals.